Exclusive - Lebanese artist Haifa Wehbe has received a special invitation to the conference of David Vendetta`s album release in France. The conference was attended by western press and international news agencies. 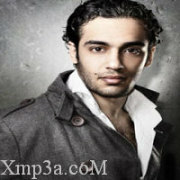 Vendetta`s new album features Haifa Wehbe`s song (Yama Layaly) performed with a western rhythm. The oriental part was composed by Mohammad Sawy, written by Ameer Te`eima and arranged by Mika. Vendetta`s album features an assortment of songs by international artists. (Yama Layaly) has been a hit in France, and this is why the French Radio has decided to broadcast it. The same song has also been chosen to be featured in Buddha Bar`s new album. Both stars are getting ready to video-clip the song. يذكر أن الالبوم ضم نخبة من أعمال الفنانين العالميين من مختلف أنحاء العالم. وجدير بالذكر أن أغنية (ياما ليالي) لاقت إعجاباً جماهيرياً واسعاً في فرنسا لذلك قرر الراديو الفرنسي بثها عبر موجاته، ولم يقتصر نجاح الأغنية على ذلك حيث تم اختيارها لتنضم إلى ألبوم "بودابار" العالمي الجديد، كما يستعد النجمان خلال هذه الفترة لتصوير الأغنية على طريقة الفيديو كليب.